Hey loves, I have some exciting post coming your way. 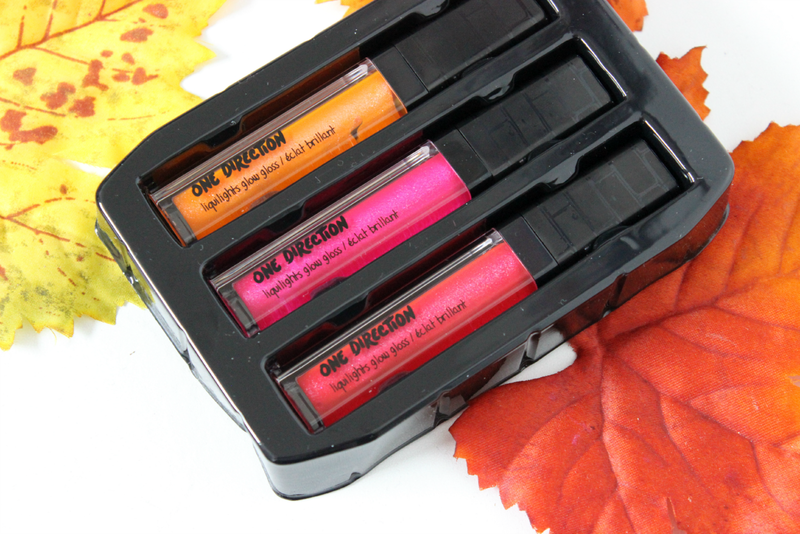 I was able to receive a ton of the new Makeup By One Direction kits to review for you guys and I thought it would be perfect timing since Christmas is right around the corner and these sets would be perfect for either makeup junkies, or for that One Direction fan. 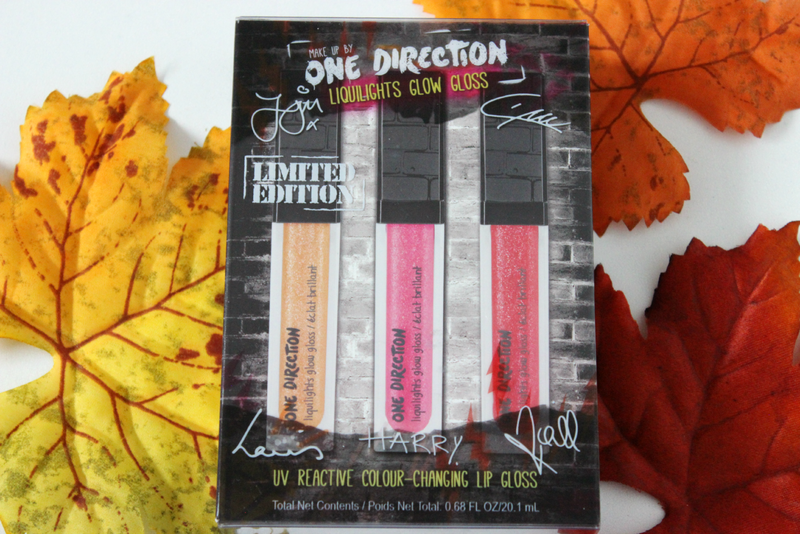 The set I will be reviewing in this post will be on the Makeup By One Direction Liquilights Glow Gloss Kit that comes with 3 different lip glosses. This makeup line was created by the amazing Markwins. Also this is a limited edition set. 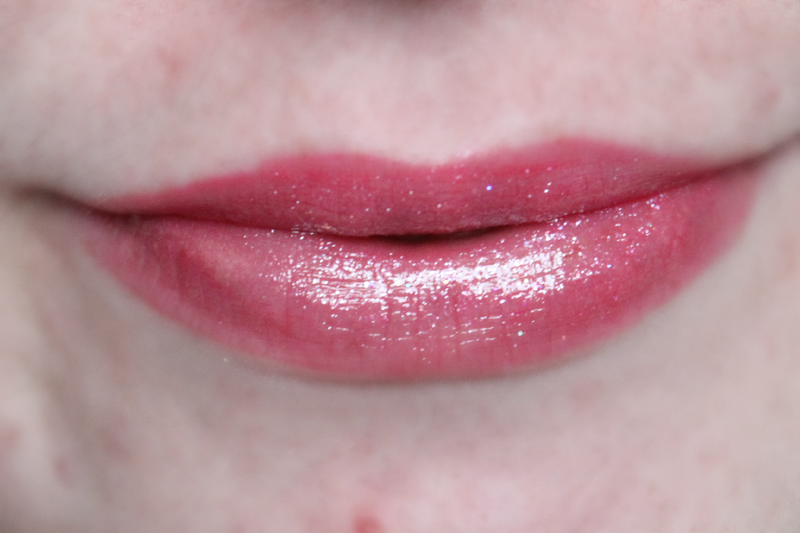 In the Liquilights Glow Gloss Kit you get 3 different shades of glittery glosses. 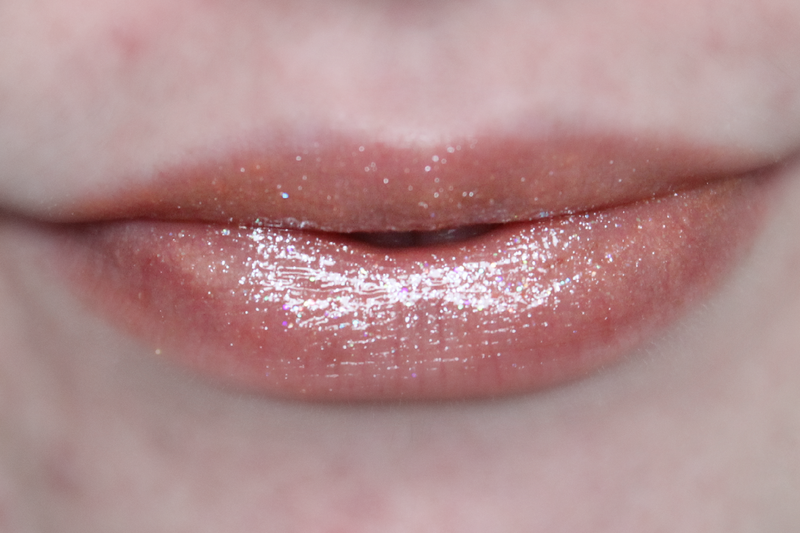 The first shade is Kiss You which is a orange shade, but when applied to the lips it looks gold which I think would look beautiful on top of a lot of different lipsticks. Next is Taken which is more of a fuchsia hot pink color. And lastly is Through The Dark which is more a magenta red color. All of these glosses are loaded with glitter, so if you do not like the texture of glitter, you may not like these glosses. 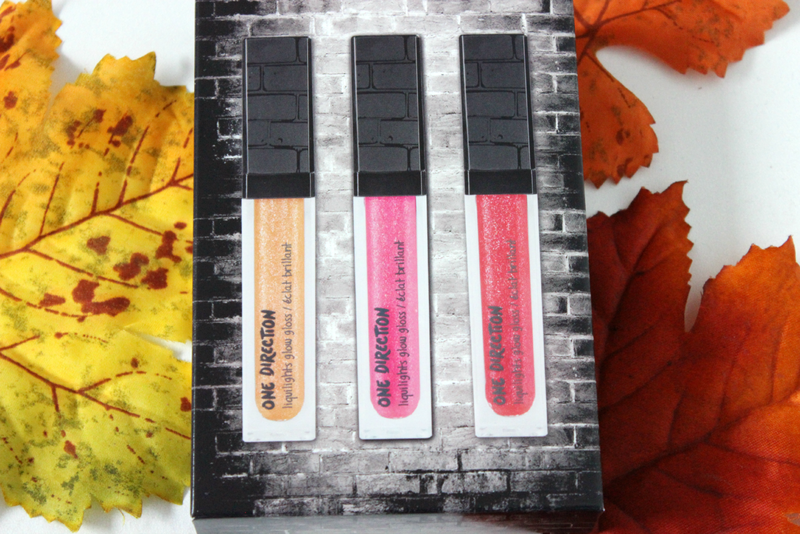 I think they look beautiful on the lips and would make wonderful toppers to any of your favorite Holiday lipstick. My favorite from the 3 would have to be Taken. I was also very surprised with the color pay off. I thought they were going to be more sheer, but they for sure have a lot of color to them. 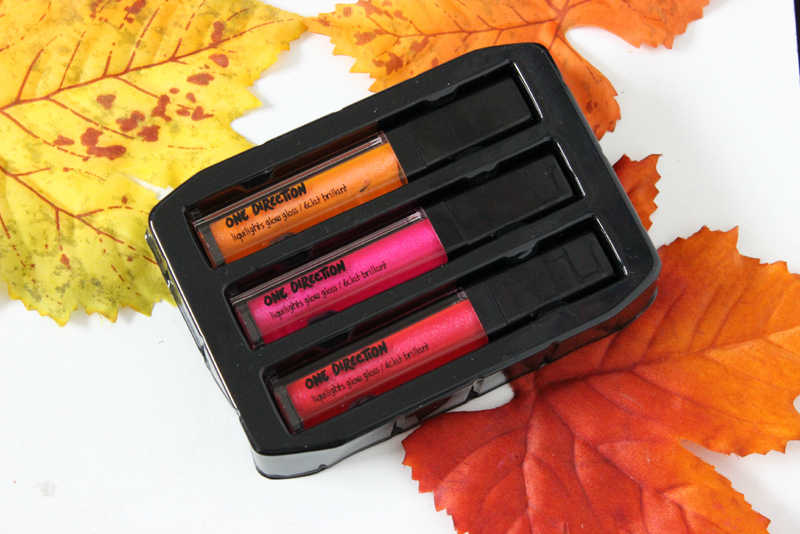 I think anyone who loves One Direction and makeup will love this set. You can purchase the set at www.macys.com for $16.50 so it is very affordable. Oooo the first two shades are beautiful! I mean, I've seen some great swatches from some of their eye make up kits but I don't think I'll be getting anything from them!